It is the third chance to win a title cup after missing La Liga and even the UEFA Champions League trophy. 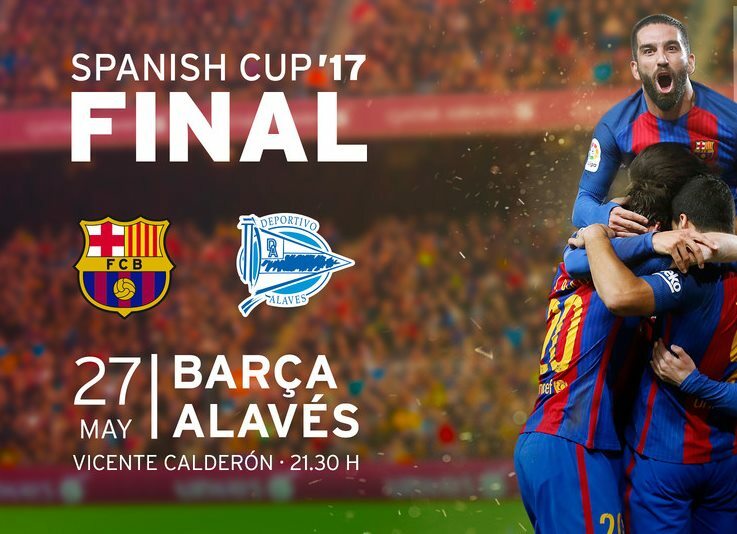 The Copa del Rey Final (Spanish Cup) match between Barcelona vs Alaves is scheduled on Saturday, May 27. The Lionel Messi and Co are facing back to back disappointment in the recent final matches. While FC Barcelona is ready to play against to Alaves football club in the Copa del Rey final. Aleix Vidal is back to his team after a long gap due to injuries.So, Barca had a kind of positivity. Luis Suarez has injured in training as Barcelona prepare for Copa del Rey Final. Also, Rafinha and Mathieu still remain injured. In the La Liga table, Barcelona failed to win the title but the team placed at the second position in the La Liga 2017. Whereas, the Alaves has spotted at the ninth position in the table. So, it is tough to beat the Barcelona for Alaves on this Saturday final game. In the past 18 meeting between each other, FC Barcelona had won 13 matches and the Alaves had four winning games. The final game of Copa del Rey between Barcelona vs Alaves is set to begin at 07:30 pm GMT at Vicente Calderon, Madrid. For the United Kingdom people and the fans, Sky Sports 2/HD, Now TV and Sky Go are there to provide the live streaming TV and online respectively. Also, the USA Barca and Alaves soccer fans can watch this match on ESPN 3 TV and the people can also Watch ESPN. The Spain living people have TeleCinco Espana. The official audio commentary is available on Radio Barca.